Whenever we drive into the city at dusk, we comment on how absolutely beautiful the skyline is, particularly when the sky is mostly clear with just a few wispy clouds dotted around on the horizon. 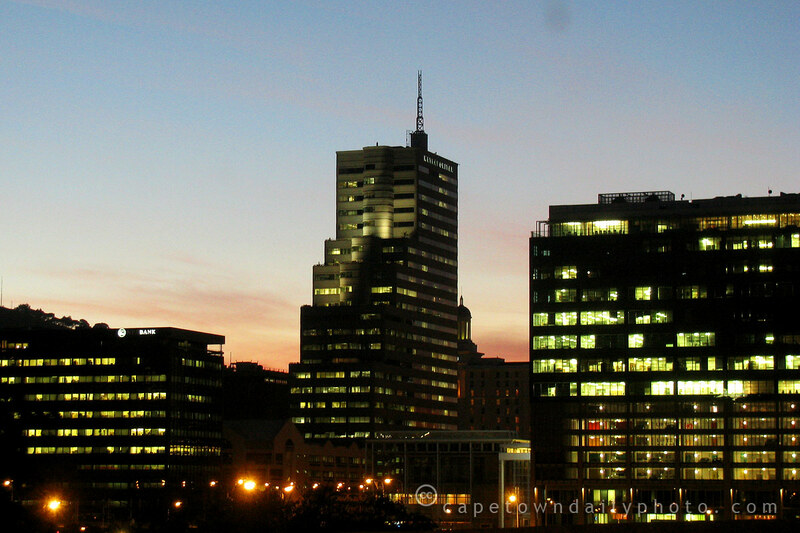 To me, the lights shining from these office windows give the city a sense of warmth and a feeling of life. I've always found city lights oddly comforting. Posted in General on Wednesday, 17 September, 2008 by Kerry-Anne.